It was one of those busy, rainy days. 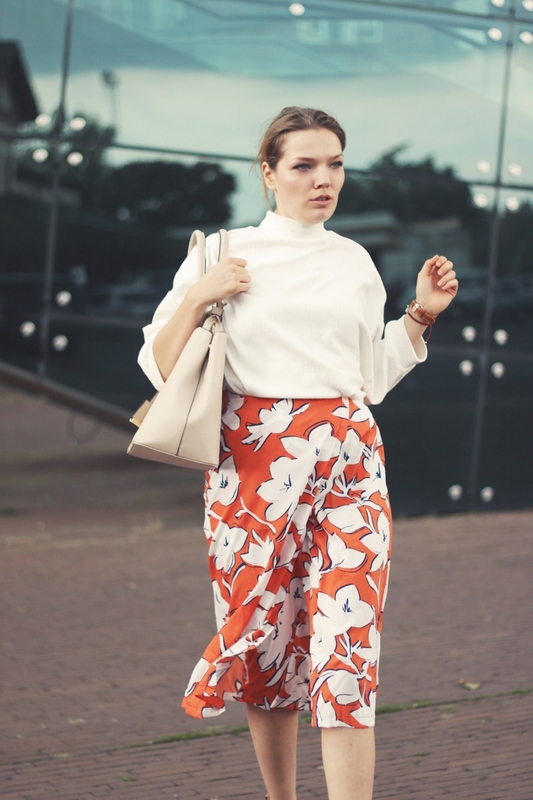 I had to walk a lot, and my H&M wedges didn't let me down, and they never will (those wedges are made for walkin') :) To cheer myself up, I've chosen orange culottes pants with floral details. They are so comfortable and extremely chic in combination with white turtle neck top. 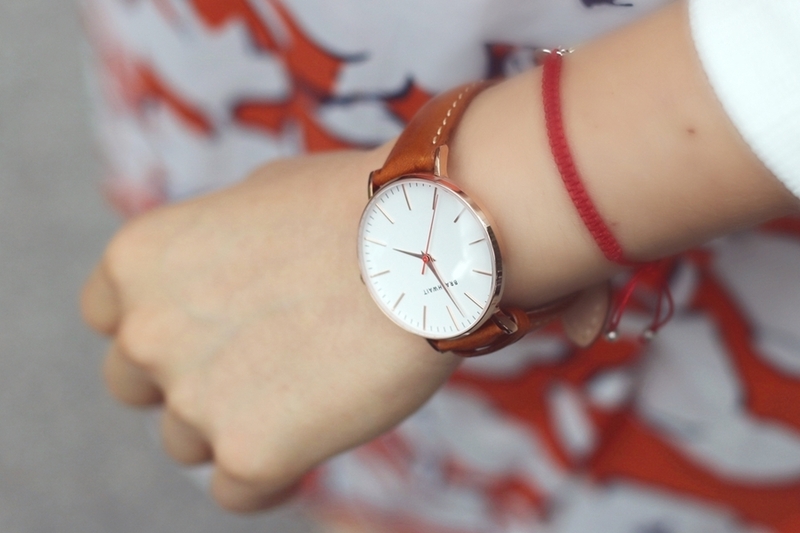 As accessories I have picked my favourite Brathwait timepiece that is elegant in every occasion. P.S. I am sorry for not posting these days, it was very busy and exciting week!